The most anticipated Audio launch of 'Sardaar Gabbar Singh' took place at Hotel Novotel Hyderabad Convention Centre yesterday. And there were lots of things happened but the most interesting thing was Pawan Kalyan and Chiranjeevi taking a selfie in front of thousands of fans. There were huge whistles and howlings when this happened. Chiranjeevi attended the event as Chief guest and when he came to Dias, there was just claps and whistles for every word he spoke. Fans went berserk when he used words like "Kalyan", "Gabaar Singh" and "my brother Kalyan" during his speech. Pawan Kalyan who later grabbed the mic told his fans that his brother Chiranjeevi loves him so much and he was the one who encouraged him throughout his movie journey. 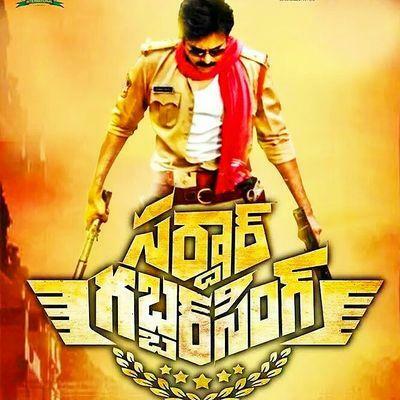 Pawan himself has penned the story and screenplay of the movie after 13 long years. Sharad Kelkar who essayed role of antagonist also praised Pawan. The movie will hit screens by 8th of April with premiere shows all over on 7th April.